very pleased with friendly helpful staff. Great service, very friendly and relaxed. Great training from great trainers. Always looked forward to doing my lessons and a little sad i wont see a friendly face. Certainly recommend Top Notch and the team! Hopefully ill be back very soon with purchasing temptations! Very helpful, patient and exemplary knowledge of the test routes. If we hadnt gone on one particular roundabout pre test, i would have failed. Richard is excellent and desserves a bonus!! excellent training. very happy, good communication from start to finish. good to catch up to with richard after 25 years!! thank you for everyone’s help throughout! Absolutely fantastic taining. Got me through with patience. Would recommend Richard and Top Notch to anyone!!! Great and Easy bikes to ride. Lovely staff, very professional, great standard of training. Great tuition from all instructors at Top Notch. 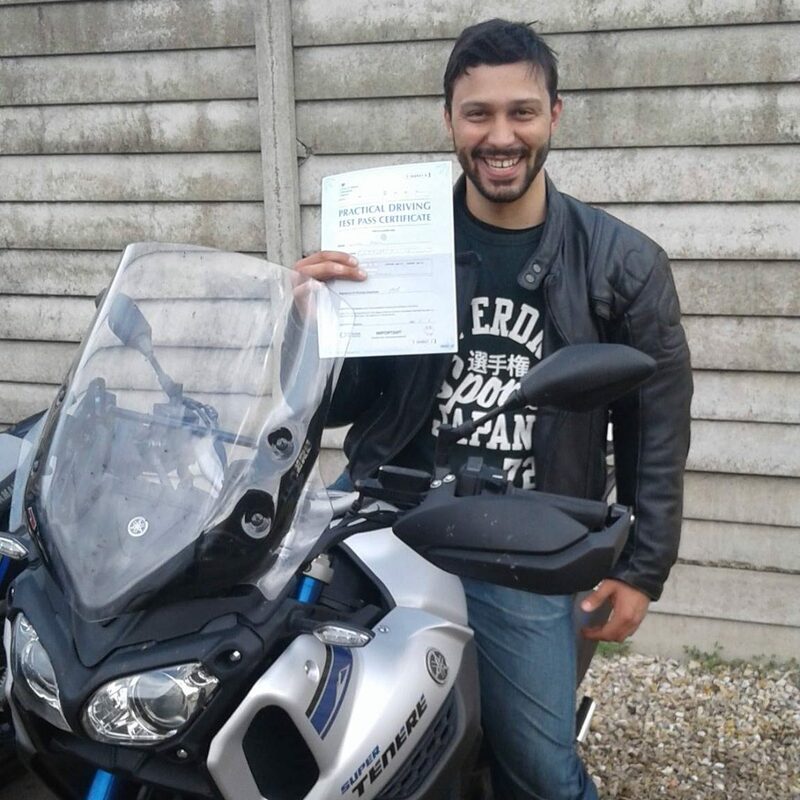 Got from CBT to full licence and had fun doing so. I passed all my tests first time. I could never have managed that without matt, matt and richard. They are diamonds and a credit to your school. Thanks to the ladies in reception for all your organisation aswell. Youve helped me complete a goal ive had since i was 18yrs. Instructors are fantastic especially richard who helped me overcome my nerve and made me at ease for my Mod 2. 5 star all the way!!! I had 3 trainers who were individually very good. However on occasions conflicting instructions from one to the other. Made it a bit difficult for me. When offered a 4th trainer i refused. I reccomend only 2. Brilliant service very nice helpfull staff. Nice and friendly instructors. Patient tuition that helped me get used to a larger machine. Great standard of training and great communication. Fantastic training with great instructors. Loved every minute!!! left Camrider to come to Topnotch and couldnt have been happier with the staff and training. Great instructors, friendly and helpful. I will be recommending Topnotch! Overall very pleased & a huge thank you to your friendly staff. Fantastic, friendly instructors and great instruction. Recommended happily to anyone wishing to learn. Brilliant friendly training. Would recommend to anyone. Very happy with my training anf i will highly recommend these to anyone. Richard was amazing. Thank you very much. i found 1 to 1 training really usefull!!! my instructor richard was extremely good at giving confidence in my riding. Which resulted in me passing both modules first time. Well done to Steve and Richard for getting me passed!! Great Staff – I was in good hands – cheers – Id definitely recommend. Superb experience. Professional and friendly. Such a difference to CAMRIDER!!! After suffering with nerves before every lesson/test. Very friendly staff. Very clear instructions. Well done guys and Thank you. Very nice team. Thank you for the great time and pass!! Absolutely fantastic! Thanks to all the staff who got me through my test!! 5* Radios were a bit faulty at times. Great experience. Lots of fun. Hopefully be a better rider for it. Cheers. Absolutely brilliant instructor (Richard). Passed both first time to his professionalism. excellent coaching and instructing. all instructors very helpful. a great experience. Richard is just the best. Steve is great too but Richards experience with nervous riders is excellent. Passed Mod 2 first time with Top Notch Training. Instructor was very welcoming and informative. Did a great job of making me a more confident rider. Would highly recommend. My trainer richard was very helpful, very knowledgeable and great at his job. Modern bikes that are nice and easy to ride!! very good, good value, friendly and informative instructors. would recommend to others. As the name says – Absolutely TOP NOTCH TRAINING, advice and equipment. All of the staff were brilliant in every aspect of the training. Passed Mod 1 + Mod 2 first time around. Thanks Richard. Will recommend Top Notch. Very supportive and patient instructors! Calm and smiley all the time. Many thanks. Training schedule was organised brilliantly, Richard is a great instructor and everything went very well. Very good training, very patient when i made mistakes. Well worth the money. I passed 3rd time. I had more support every time and i am so happy i passed. Richard who is brilliant and has helped me get through this. I also would advise anyone to use Top Notch Training. I have been overwhelmed by the professionalisn and consistency in the quality of the training provided by Top Notch Training. In particular my instructor Richard. Richard deserves a pay rise!!!! Ive been to other training companies and ive never felt so comfortable. Fantastic instruction throughout from cbt to mod 1 & mod 2. Very happy customer. Very Pleased with the time here. Managed to pass both modules first time with the help and patience for Richard and Matt. Excellent experiance from start to finish, only had short space of time available but Alison fitted me in. Richard, Matt and Steve were all excellent. I am so glad Richard was my trainer. I couldnt have asked for a better instructor. Richard was a good instructor very happy with the training. Incredibly patient trainers! Really appreciate how flexable alison was with sending dates for lessons atc – was the difference between me being able to train or not. Very excited to get onto a big BIKE!!! I had Matt, Richard and Steve for my training. 100% would recommend to anyone. It was nicely timed and provided with very high customer satisfaction. Great experience. Really enjoyed it and look forward to more practise in the future. Gave me the confidence to go on to the direct access. Worked schedule around my shift pattern which is something others could not provide. Im very grateful for that. it is professionally run and the instructors are excellent. Would recommend Top Notch to anyone wanting to learn to ride. My instructor steve, the way he taught me makes me feel like doing my direct access.Having done the CBT when i was young and having a car licence, he was by far the best instructor i have ever had. instructors were patient, reassuring and encouraging through to the Mod 2 pass. I feel completely capable and safe having had – what can be described as expert tuition and guidance from a very experienced and capable team. I now have the knowledge and skill to ride safe and stay safe on the road thanks to this dedicated team. I will be taking R.O.S.P.A or advanced training course with Top Notch in the future and will hopefully get another opportunity to give feedback on this great team. Very friendly and nice people will be back for my a1 next year. didnt feel bored or nervous at any point anything i didnt understand they told me until i did will definitely be coming back. The headsets were very poor, difficult to hear instructions, no ability to communicate with instructor, no plan on what to do if split from group. No emergency phone number issued by instructor. Excellent course, very well delivered. 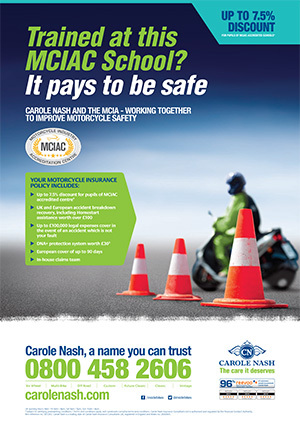 All motorised 2 wheel vehicles should attend the course, even those riding 50cc mopeds. Highly increases awareness and safety to all scenarios. Informative throughout, comprehensive training that has provided me the knowledge and experience to ride more confidently and safely on the road. A wonderful team of instructors. Very patient and very thorough to enable you to ride as safely as possible. Thank you Top Notch for everything. Ive really enjoyed my training with you. Would highly recommend Top Notch, very happy with the training. thank you very much for all your effort in teaching me!!! Brilliant trainers, 1st time pass!!!! Steve C is 5 star!!! Richard and Steve (blonde) where brilliant. Highly recommended. Good fair training, hard on errors, easy to talk to and ask questions. Excellent knowledge and good patience. Steve C was excellent and patient. He understood my additional needs and worked with me, made me feel very comfortable and helped me understand the bike and i managed to do what i wanted to achieve. fab great time, great blokes. Every instructor i had was great and made me feel at ease. Richard kept calling me Gary?!?!?! Top notch service from great people. Very friendly team, highly professional. Many thanks to Richard. Great taster session, Took my fears away by being so relaxed & not judgemental. world class tuition!! Massive thanks to Richard, Matt and Steve. Massive thank you to all-will recommend. Had 3 different trainers throughout the das training and all 3 were very helpfull and informative. Enjoyed all the lessons. Thanks. Couldnt be any happier with the training i was given. Am looking forward to coming back for full test in 2 years. course was fantastic, instructor was excellent and made me feel relaxed at all times. They know exactly what they are doing and i felt very confident going into my test. Which helped me no end!! Good job Richard – Thanks mate. Tuition from richard and tim from top notch was first class. I am 67 years old and took my car test 48 years ago. I was quite nervous when arriving at the test centre thinking other participants would be alot younger than me. I soon found there was absolutely nothing to be nervous about. My instructor whilst being professional made me feel at ease straight away and was very thorough in making sure we all understood exactly everything that was said and done from start to finish. The whole course was made to be enjoyable and i felt part of that course and not just a student taking his cbt. If you want to stay safe, and learn how to ride properly and have a very enjoyable day then book your course with this company. You cant put a price on your life, a truly fantastic and satisfying day. I am an older female who has never ridden before. My instructor was very patient, overall a great help. Very friendly, helpful and profesional. Great instructors. Very easy from start to finish, booking to actual training day. Really great service, great bikes to learn on and loads of gear to borrow. Excellent friendly service throughout – would recommend to anyone to train here. I like the way the dates are booked. Worked well with me by having them grouped together. The training and quality of the bike i trained on were second to none. had a great time and learnt lots while training for my A2 test. Very patient and helpful trainers!! I liked the amount of communication telling me loads of additional information on the ride. ie what to avoid. Passed first time, thanks to Top Notch. Fantastic instructors, very firendly and experienced. Very happy and would recommend to everyone. Everyone really friendly especially matt and richard. Friendly, professional and very helpful with any issues i had while riding. Thanks to the whole Top Notch and Tinklers team. I felt extremely well looked after and welcome. Great 1 on 1 rider training. Highly recommend using this dealer/school! Big thanks to all! Thank you to alison for keeping me in the loop with lesson bookings/changes and especially richard for his patience and perserverance – it paid off!! Thanks also to matt for his constructive criticism – i do remember the little things!! I really enjoyed it and i feel really confident now. Great instructor! Im very happy with the way the training was done i feel confident and safe! My overall experience was very good, the instructor was very clear and he made me feel very confident to do the safety procedures on the road and keep me safe. After the course i continue to feel i have had really good training to keep safe on the road, will be using this school for my full bike licence. Its lots of information to take in in one day, but the instructors are very patient, and i must admit i actually enjoyed my day and looking forward to doing my full bike test. Very good, professional, very patient, non judgemental, awesome day!! The instructors need a pay rise and a bottle of wine!! Very helpful and a great trainer. Great day and alot of fun! Fantastic instructors great learning skills and teaching ability gave me great confidence and fulfilled my needs. The whole school was extremely professional and i felt welcome and well looked after. The training was great and 1 on 1 throughout. The course was great, individually tailored to my needs. I was never made to do anything out of my reach. They boosted my confidence immensely. I now cant wait for my adventure to begin. Brilliant, great instructors. Covered everything needed to pass my Mod 1&2. Thank you Richard, Matt and Alison. Alison was very friendly and enthusiastic. Richard was an encouraging instructor very kind, patient, professional but genuine. I am very grateful to Tinklers including Adam who i first met. All the team complimented each other. Couldnt fault anything. Instructor was friendly supportive and encouraging.Has made what could have been a daunting experience a thoroughly pleasurable one. Will deff be recommending. All staff at base thoroughly lovely, and fantastic communication, advice etc from Alison. A Topnotch team at Topnotch Training. The cbt i took was thorough and provided in depth off road training, before time was spent on the road. 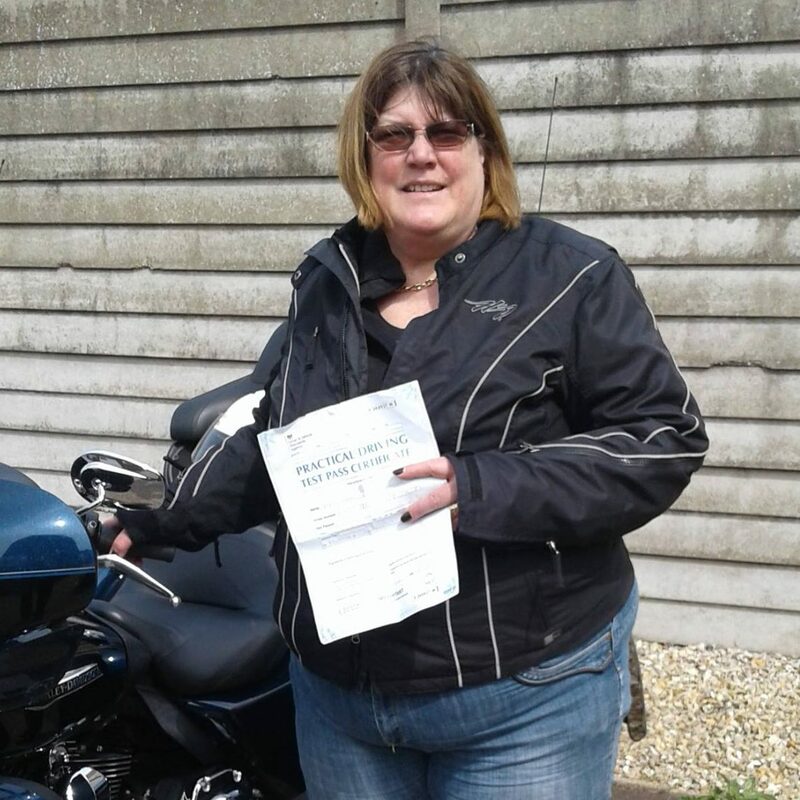 My training experience was rewarding, as i received my cbt certificate after the course. Before riding took place on the roads, the instructors made sure that riders were fully competant, knowledgeable and safe to ride. An enjoyable experience, one i would highly encourage others to take. Great instructor very patient and knowledgeable. gave me confidence to get out onto the roads safely. They covered all routes possible. If you listen you will pass!! Excellent trainer Richard couldnt of asked for better. Overall experience was good any mistake i made got picked up on and worded politely to you. I would recommend richard as a trainer he got me through my tests first time. Brilliant experience. Very good training and learnt alot. Cant wait to do my direct access next year! Overall experience was excellent. ive now been riding for 2 weeks with confidence instilled to me by Top Notch professionals. very good and quite fun. I was very nervous about retaking my test as i had not used my scooter for over a year and had lost confidence. I spoke with them prior to booking and was offered a course with a maximum of 2 students including myself which was not offered with my original cbt centre. i was repeating my cbt as already have a twist and go scooter so i asked for the same bike on my re-cbt. i completed my course and was confident enough to ride my scooter again. I returned to top notch training to do the direct access course close to 2 years after doing a cbt with them (no pressure!). I found the instructors patient and knowledgeable and the information provided got me through mod 1 and mod 2 first time. They helped me get comfortable on a bike and corrected errors i made in a friendly way. Simply and genuine helpful bunch. I recommend Top Notch to anyone whi is considering motorcycle training. Had a great day at top notch for my cbt, was good fun with steve and again during the ride with steve. Overall my experience was very posotive! The training i received gave me the skilss to pass both mod 1 and mod 2 first time!! it was exciting but thorough. Very helpful, helped me pass nicely. Brilliant training would highly recommend. Very happy with training received. Good bike and equipment available. Excellent and personalised experience. From zero to hero an feel i am a confident and safe rider. The instructors were very knowledgable and taught me in a way that was easy to follow. The direct access course is set up perfectly, the right amount of pre test instructionns and riding to pass the Mod 1 and Mod 2. The training was well explained and arranged for a time that was suitable with my shift work. I have had a CBT licence for 2 years and wanted to get my full licence to up the cc of my bike. i chose to go with Top Notch as i have used them for my CBT and used Tinklers for my servicing. They were extremely friendly and fitted my training in with my shifts. i was not pressured to take more training than was required so did not feel that i was throwing money away. the bikes used were YAMAHA MT-07, they were new bikes and were well kept and well maintained. I foudn the staff at Top Notch Training and Tinklers, very professional and helpful. The instructors are very thorough in ensuring there studentspass the courses safely. Very good training. clear to the point. would 100% recommend to anyone! Excellent raining with friendly instructors, very patient and understanding when negotiating new skills. Top Notch is an excellent training school, very experienced instructors and staff, excellent availablility with training available 7 days a week. The training motorcycles are some of the best in the area. The yamaha MT-07 is a great bike to learn on and is an awesome bike in general, just read the bike reviews! It was even on MCN bike of the year! I did my Mod 1 and Mod 2 DAS with Top Notch who luckily managed to fit me in as i booke dlast minute during the peak season. Top Notch operate 1:1 instruction for DAS &A2, Mod 1 & Mod 2 which is far better and more personal than other training schools in the area who do 2:1 lessons or even 3:1 during Mod 1 (off road) practise…..Top Notch also book in practise slots on the test centre MMA so you get to practise the real thing a few days before your Mod 1… Highly recommended!!!!! Do your training with Top Notch, you wont be dissapointed!!! I didnt have the confidence before my cbt but now i love my bike and use it constantly. I had had my bike for a year before plucking up the confidence to take my cbt but now i ride everywhere and i love it!!! excellent instructors and instruction. weather was atrocious but no-one could help that. good instructuion and very thorough. gives you the confidence to just get out there and ride!!! A very good course with knowledgeable instructors. at no point did i feel unsafe or not looked after. My individual needs where focused on to ensure progression. Very hard to fault – the excellent personallity or the trainers ensure the valuable and constructive feedback given is delivered in a friendly and warm way. Relaxed atmosphere throughout. they want to see you succeed. Getting on a motorcycle for the first time was daunting i have to admit. However the training staff have been encouraging and thorough with their instruction which enabled me to build confidence extremely quickly. I am very pleased tpo have learnt with this organisation and would higly recommend them to anyone wanting to learn to ride. I supplied my own gear. Nothing to complain about, good relaxed instuctors that know what they are doing. I went from A2 – A licence. Good experience and i would recommend them to anyone in the area.! Have highly recommended Topnotch to a few people now, my experience was amazing and they made it so enjoyable! couldnt fault the staff and my instuctor was ace! Top Lads!! Thanks for the training!! I have used Tinklers to buy my first bike 125cc. 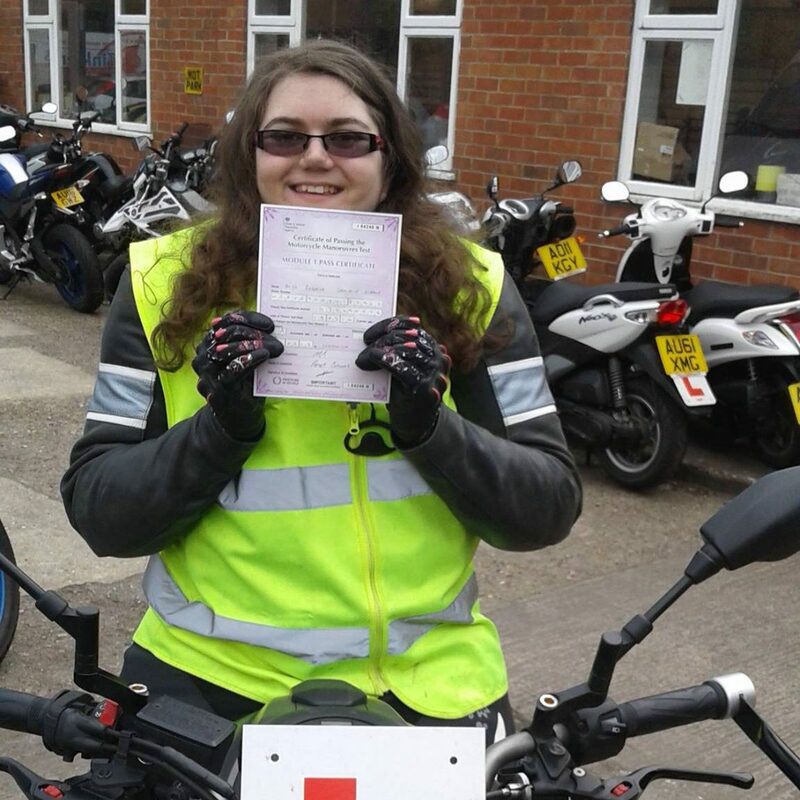 Then used Tinklers – Top Notch Training to do my A licence lessons and completed my Mod 1 and Mod 2. They are extremely helpful and very friendly. All your help and generosity was very much appreciated and meant alot. The staff are all friendly and nice to talk to. Great fast service. Overall great service. Very helpful, supportive and understanding. Will be recommended to all. Everyone i had was super friendly, relaxed, no stress or problems. Thanks everyone at Top Notch. Thank you so much for putting up with mw, your training school is superb and such a happy friendly place to be with a warm welcome. 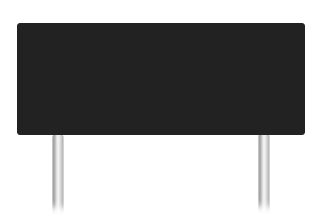 Fantastic instrucotr – very helpful, friendly and approachable. Giving just the right amount of encouragement and feedback. Fantastic Training and instructions to get me through the tests. Incredible service. Cannot praise Richard my instructor enough, for his patience and help through my test. Fantastic all round! Cannot fault my instructor (Richard), Alison and the rest of the team. To all at Top Notch, You guys are the best, have a drink or 3! To all at Top Notch, thanks for all the help getting me through my test. Especially Mel and Jason for sticking with me. To all at Top Notch, just to say thank you all for the help in the past few weeks to passing my test. Thank you once again. Thank you for all your help! For making time for me, for being so patient, so warm and so understanding. Thank you for bringing me all the way from the level of 3 serious faults + 5 minors (with another training school) to passing easily and cheerfully with just one tiny minor! (!!!) And thank you for all the support, for giving me the confidence and the calm friendly atmosphere in which to learn. Thanks for being TRULY EXCEPTIONAL instructors! Motorcycling is both a cheap mode of transport and an enjoyable leisure activity. Our goal is to help you become the most complete and safe rider you can be. We tailor training packages to each individual. On 19th January 2013 the law regarding motorcycle licences changed. The entry age remains at 16 years old for mopeds and 17 years old for 125cc bikes. For bigger bikes however, it has been split into two categories where you progress to unlimited power after a period of probation and an additional test. You can start with bikes limited to 35kW (46.6bhp) at 19 years old, after 2 years probation and an additional test, you can achieve Full Category A entitlement. If you are 24 and older the new rules don’t affect you – Direct Access entry age is now 24. This website contains all the information you may need about the changes in the law. If you do find you have questions however, we have training experts available at the end of a phone. UP TO 7.5% DISCOUNT ON INSURANCE! At Top Notch you use the very latest Yamaha machinery, no matter what course you are taking. Bikes are supplied by our sister company, Tinklers Motorcycles. Our instructors all have years of experience, and will mainly teach you on a 1-to-1 basis. This means you learn at your pace, suiting riders of all experience levels - from beginner, to those looking for a refresher.